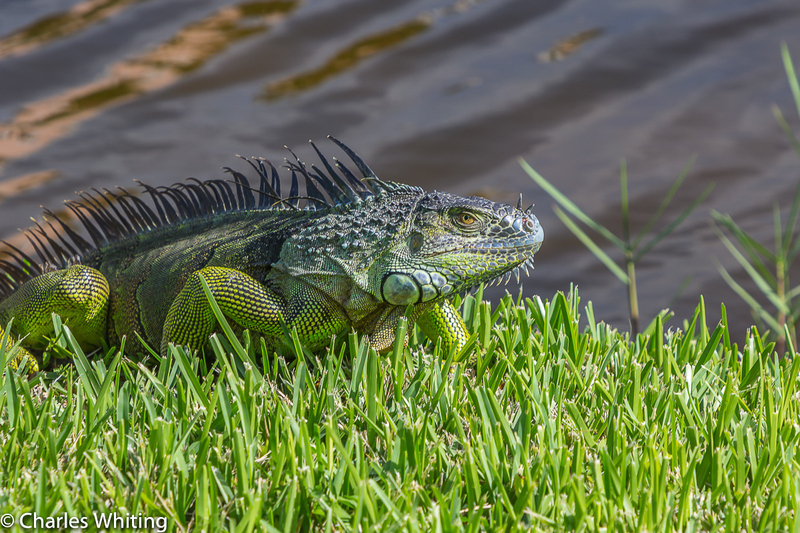 A large Green Iguana climbs out of the pond to sun and feed on the bank. Deerfield Beach, Florida. Photo © copyright by Charles Whiting.